As I showed in a previous post, 1 Peter is addressed to the “elect exiles of the dispersion” (1:1, ESV). The metaphor for the Christian as a “stranger” or “alien” in this world is very powerful, one that makes for great preaching. 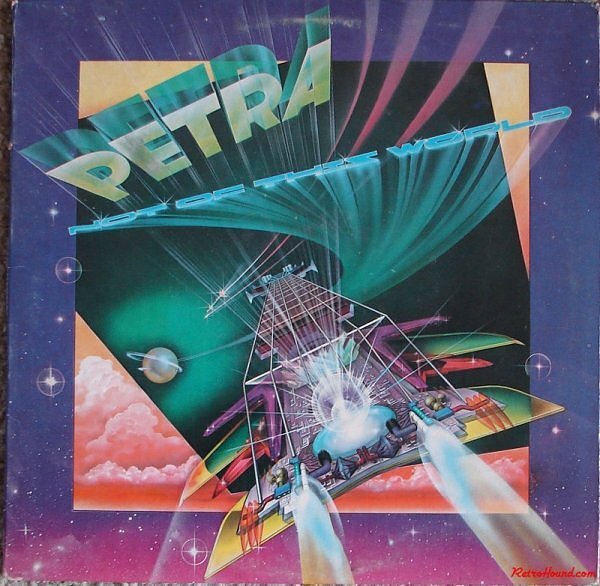 Christians sing “This world is not my home, I’m just passing through.” (For those who enjoy 80’s Christian rock, think of Petra’s “Not of this World.”) Famous stories like Pilgrim’s Progress describe the Christian life as a long journey through a foreign land. We are slowly making our way through a strange and wicked country to out real home, the Celestial City. But in 1 Peter 1:1 the “stranger” and “exile” is a metaphor drawn on the experience of Israel. In fact, 1 Peter is framed with the idea of exile. In 5:13 Peter says “she who is in Babylon greets you.” To be “in Babylon” is to be in Exile, living in a strange land which is trying to “convert” you away from serving your God. Think of Daniel, a faithful Jew who served God in Babylon, in the exile. He was a stranger and foreigner, and a model for faithful Jews living in Exile. Peter addresses his letter to Jews living “in exile” as strangers in a strange land. How can this distinctly Jewish metaphor be transferred to the situation of the American church in the early 21st century? Or, should it be applied in this way? ← Is 1 Peter Addressed to Jewish or Gentile Christians? While I think that there is some value in looking at our lives in this fashion, I think that this should be done carefully. There is danger in losing sight of the original context of the letter. Metaphors like this can be helpful to us by demonstrating a concept in a more engaging way, but it is important to not lose sight of who the original recipients of the letter were. If we forget about them then we look at the letter in the wrong light and may miss some important elements. Without looking at the church today as the aliens or strangers there are still valuable things found in the book for us. Peter’s call to be holy(1:15), to long for pure spiritual milk (2:2), and not to be “surprised at the fiery trial when it comes” (4:12) are applicable to any believer and are echoed in other letters found in the Scriptures. It is these things that we should seek to apply to our lives today. Obviously this is a complicated question with no factual correct answer. I understand the opinions of those who believe the metaphors are aimed only at gentiles. I also understand the view that to ignore any meanings of these metaphors towards jews would be a mistake. Personally, I honeslty do not have any idea what the intended purpose for these metaphors is, I do not really like to speculate and guess at what God’s intentions are. I think that any lesson that is taught in the bible, new testament or old testament should be considered by all believers. I know that not all lessons will apply to everyone. But I think that what the lesson is means more than who it is intended for. Technically speaking we should all be considered aliens if we all believe in heaven. I think that the Bible was meant to be applicable for readers even after the original letter was sent. I have no doubt that we can apply the metaphor to America. At the beginning of chapter 9 Jobes compares first century Rome to America now. First she says, “As it was in first-century Roman society, today it is fine to believe in Jesus, but it is offensive to many if he is preached as the only way to God” (268). She goes on to talk about how both Rome then and America now struggle with sexual immorality. As the readers in the first century struggled with things, America does too. We need to take Peter’s words of encouragement to live holy lives in our “exile”. When speaking of the things that we can take out of 1 Peter regardless who the book was written to, Cody talked about how things needed to be applied to our lives. Even if this metaphor throws everything off, I believe as American believers we need to be “obedient children” (1 Peter 1:14). We need to be compassionate and humble (1 Peter 3:8). We need to love each other deeply (1 Peter 4:8). For these reasons, I believe that 1 Peter can and should be applied now in our lives today living in America. I agree with Greg, the Bible is applicable for readers even after the original letter was sent. There are many values in 1 Peter that can be applicable to modern Christians today. As Christians, we are to be a light in the darkness. This is a major struggle sometimes in our modern culture and society. Culture today focuses solely on the individual; very self-focused and selfish. If we are following Christ, we should stand out from the rest of society (living as strangers). I am immediately drawn to 1 Peter 2:11, “Beloved, I beg you as sojourners and pilgrims abstain from fleshly lusts which war against the soul.” This verse goes against the norms of today’s society. We are to flee from all fleshly lusts; pride, selfishness, greed, sexual immorality, anger, etc. These are all prevalent in our modern culture. When we refuse to give into these lusts we stand out from the norms of today’s society. Standing out is not always easy. We are sometimes rejected and teased but we are to keep fighting the good fight. We will overcome temptations and evil when the Word of God abides in us and we share our testimony/struggles with others. Through God’s strength we can live as strangers in today’s society. Of course this letter is usable by Evangelical Christian’s in West Michigan. Just because we are not Jews and don’t live in Pontus or Asia doesn’t mean we can’t apply the letter to our lives. If readers thought that they couldn’t read and apply a book of Philippians because they aren’t in Philipi then we would have nothing left for us “Michiganders.” The other question is: is there really any harm done by thinking that the word “strangers” in this verse can be stretched to encompass modern day Christians as we walk, live, and breathe in a foreign land? I don’t think it hurts anything, but it isn’t right to allow our presuppositions into reading a verse like this no matter how little the effect is on a major doctrine or a intended meaning. I feel this applies to all people really, be they a believer or not. Every person in this world can atest to being a stranger at someplace some where in there life. As for those who think that this may not apply to them because it was not originaly addressed to them but to a more Jewish thought i see that as shallow and closed minded. Are only to accept information that is directed only to us specificaly? Is there no wisdom and other place in this world? Can we learn nothing form Confucius, Mahatma Gandhi, or even some one in the music industry such as Eminem. I feel like all these people have some form of truth in what they may say…even if such insight is not directed to Christians there is more to learn that just the hear say of those fully devoute Christians. God gifted all people in all forms with brilliance. It is how this brilliance is used that some times gets muddled and corrupted. The way that I think this metaphor can be transferred to a 21st century church, would be similar to a Christian who is wondering through life trying to figure out what God has planned for their life. I think that this applies to the metaphor that is used in 1 Peter 1:1 because he uses “stranger” and “exile” and those looking for their calling will face times where they are in a foreign land or times where they feel like they are a stranger or don’t belong. In the time that 1 Peter was written Jews were scattered and did not feel like they belonged in these foreign cultures. There are times in my life where I have felt like I did not belong, especially with certain people here at Grace. So I think that the metaphor that 1 Peter is trying to get across is relevant to today, but we have to be able to know how to apply it properly to our lives. Yes i think it could be applied like that today. Peter is writing to people who are outside their normal culture and context and are living going against he grain of the culture they are in. It makes me think of David Platt’s book Counter Culture, where he writes about us 21st century Christians having to deal with with issues in our world where we go completely against the grain. A lot of the things our faith in Jesus stands for are becoming more and more counter cultural. It doesn’t make any sense to non believers. Living the way we live, standing up for things we stand up for and doing the things we do are opposite at times of what our cultural context around us says to do. We have to keep our hope for future glory and restoration in Jesus and keep living out our faith in a culture that is against how we live, believe and act and await the day when we are restored back to our home. I agree with Adam above that after reading the post and others comments i too draw a lot of the same conclusions. A verse that is heavily used came to mind when reading this. Romans 12:2 states, “Do not conform to the pattern of this world, but be transformed by the renewing of your mind”. I think this verse applies well with the context mentioned above. It is important to not conform to the ways of the world, because the fact of the matter is that the world is wicked and there is a lot of evil amongst it. Obviously, the way to not conform is to follow the ways of our savior Jesus Christ. This is because, “Christ as victor over all evil (Jobes 364). For me, I really do me best to sit back and understand a lot of wickedness is going to be presented to me on a daily basis and I need to continue to stay strong.